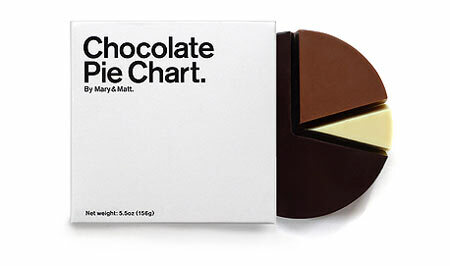 An actual Chocolate Pie Chart! With 70% dark, 20% milk and 10% white chocolate. You can get it for $20 on Chocolate Editions.